Welcome to Jumping Bean Party Rental!! Jumping Bean Party Rental is a full service locally owned and operated family business right here in the Capital District. We proudly serve the communities and businesses in Albany, Saratoga, Schenectady counties, along with areas within the surrounding counties. We provide an extensive and unique inventory of equipment to satisfy the young and more mature. 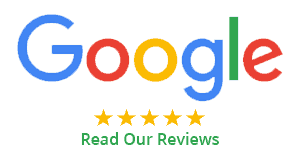 With items ranging from bounce castles and water slides to cotton candy machines on old fashioned carts and frame tents, you will find something to complete your party or special occasion. Jumping Bean will come out to your event and set up all equipment. To provide a safe fun experience for all, a representative will then review safety and operating instructions. Jumping Bean Party Rental offers a fantastic selection of Rental Bouncy Houses, Inflatable Climbing and Water Slide Rentals. Serving the Saratoga and Albany New York regions, Jumping Bean Party Rental offers Albany Bounce Rentals and Water Slides Rentals for your party, picnic or event. You can get Albany Table and Chair Rentals, Wedding Tent and Carnival Event Tent and Game Rentals to make your next event memorable for all! Get your Party Bounce Rentals in Albany and Saratoga New York. Bouncy House Rentals at Jumping Bean Party Rental make the Party happen. Your child will love Rental Bouncy Houses or Water Slide Rentals for birthdays or graduation fun! Kids of all ages love Rental Bouncy Houses and inflatable games and waterslides. Get your Bounce House Rentals in Albany NY from Jumping Bean Party Rental. You can find a great selection of castles and bounce house, or how about a pirate obstacle! Make your next family reunion or corporate event spectacular with Dunk Tank Rentals in Albany NY. Get Inflatable Rentals NY, Party Bounce Rentals, Water Bouncy Bounce and even Water Slide Rentals. Your party will be the best on your block with an Inflatable Water Slide Party Rental by Jumping Bean Party Rental. Rent a Cotton Candy Machine, Popcorn Machine Rentals, or Sno Cone Rental and add fun to your outing! Serving the Albany and Saratoga New York Regions, rentals by Jumping Bean Party Rental make every event more special. 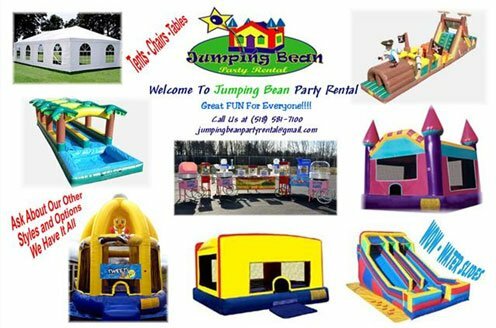 Find Block Party Packages, Birthday Rental Package Saratoga, Water Slide Rentals, Carnival Game Rentals, and Event Tent Rentals by Jumping Bean Party Rental.